A Nick Wium Production, Listen, coming to Rhumbelow Theatre Durban from February 8 to 10, 2019, is a collaboration between Wium, his Durban band Shizam, and teenage musical theatre sensations Marianthe Panas and Bernlee Frick. This show had its debut at the 2017 Hilton Arts Festival. An ‘easy’ power ballad singer, the 16-year-old Marianthe’s mature, interpretive singing and incredible vocal range have made her a sought-after performer. Marianthe’s powerful rendition of the Dream Girls hit song, Listen, which Beyoncé catapulted into status as one of history’s Musical Theatre greats, and her soulful version of Christina Aguilera’s Burlesque hit, Something’s Got a Hold Of Me, are only two of the treats on offer. 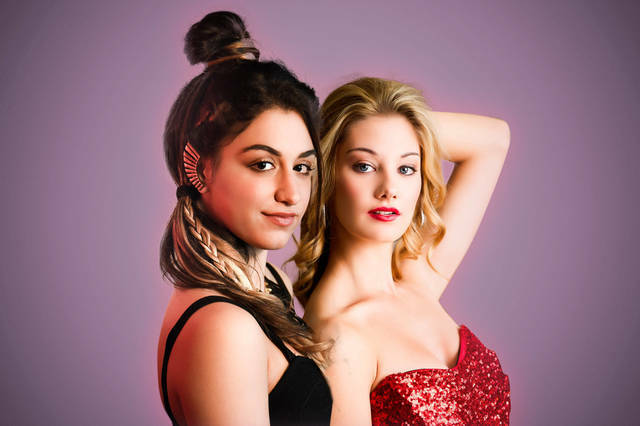 Panas is supported by the talented 18-year-old Bernelee Frick, who delivers a sensual rendition of Cher’s Welcome to Burlesque and an emotionally stirring You Must Love Me. The almost tangible synergy between the Shizam band members – sought-after session drummer, Alwyn Singh; quick-fingered guitarist, Shyane Kistensamy; seasoned and highly-respected bassist, Sebastian Gilchrist; and über experienced pianist Nick Wium - adds a fresh dimension to every Musical Theatre hit in this revue.